After a no nap afternoon, every 5 sec ‘can we get up’… I crumbled and let them out at 3:00 and instructed them to do something SUPER quiet..
Soo this is what my two middle kiddos’ (and if you could hear preschool bible songs were playing) did! 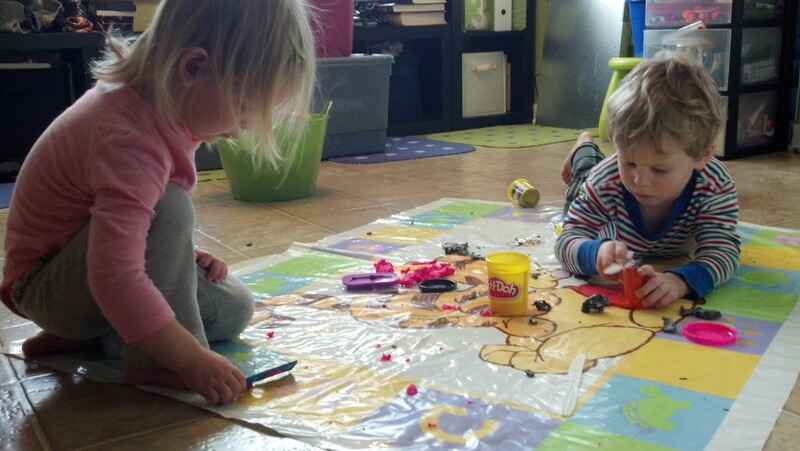 This entry was posted in Photos, wordless wednesday and tagged bible songs, no nap, playdough, quiet. Bookmark the permalink.